The DIABSAT programme uses satellite technology to provide mobile screening for the complications of diabetes in the Midi-Pyrénées region of southwest France. The service, in operation for one year, has been welcomed by patients and will soon be submitted as a proposal to the French health ministry. : The DIABSAT mobile screening vehicle in a Midi-Pyrénées village. Credits: CNES. 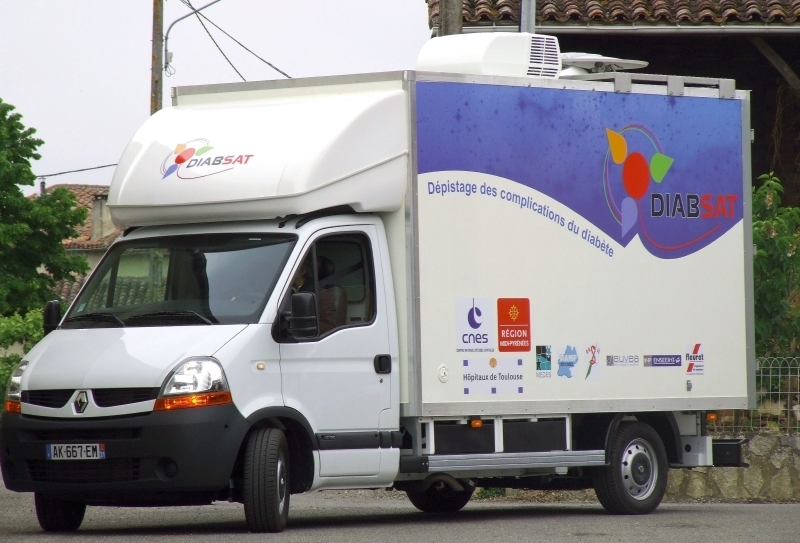 The third and final phase of the DIABSAT mobile screening programme concluded in May at locations in the south of the Haute-Garonne department. “Of the 519 diabetes sufferers screened in the course of the programme, we found that 37% needed hospital referral within 24 hours,” says Laurent Braak, executive director of the MEDES-IMPS space medicine and physiology institute. The result of a partnership between the Midi-Pyrénées regional council, Toulouse university hospital, DIAMIP diabetology network and CNES, the operation, launched in May 2010, covered three departments of the Midi-Pyrénées region. 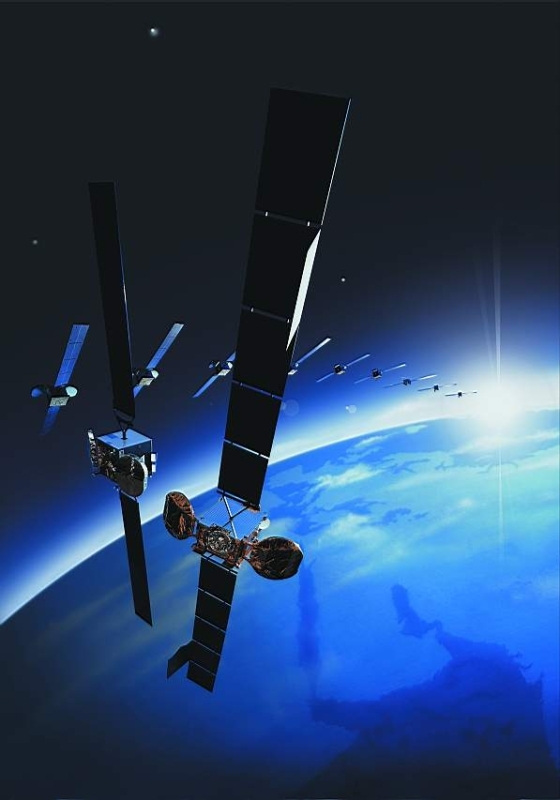 ASTRA telecommunication satellites used for the DIABSAT programme. Credits: SES ASTRA. For a one-year period, a mobile screening vehicle equipped with medical function test equipment offered free consultations in the communities where patients live, with no appointment needed. The specialist staff screened for the complications of type ii diabetes — problems related to blood circulation and pressure, eyesight, kidney failure, sensitivity disorders, foot ulcers, etc. Test results were relayed via secure satellite link to the hospital diabetes unit, then interpreted and sent by post to GPs, patients and diabetes specialists. A global epidemic, type ii diabetes affects almost 3 million people in France. A metabolic dysfunction causes a chronic excess of sugar in the blood. If sufferers do not take steps to lead a healthier life and have regular medical checks, the condition can lead to severe complications, including blindness, loss of limbs and kidney failure. In outlying communities, a long way from specialist medical facilities and broadband communications, the DIABSAT programme is helping to combat diabetes and its debilitating effects. The initiative has proved a real success: between 77 and 98% of patients screened, with an average age of 70 years, said they were satisfied with the service. Nutri-Educ, the interactive nutrition advice application for diabetes sufferers. Credits: Toulouse hospitals / ENSEEIHT / IRIT. “Our objective now is to extend the service to 1,000 participants and submit a proposal to the French ministry of work, employment and health,” continues Laurent Braak. The DIABSAT programme also has two other components: the EDUCAD patient education initiative, based on interactive software terminals in pharmacies, and tele-expertise in foot complications via tele-consultation in homes and remote specialist medical advice. “DIABSAT is the first phase of an assessment that looks at both the medical and economic aspects and must demonstrate a return on investment in terms of savings for France’s national healthcare system,” concludes Laurent Braak.